Opening an Online Bank Account? Read this First! 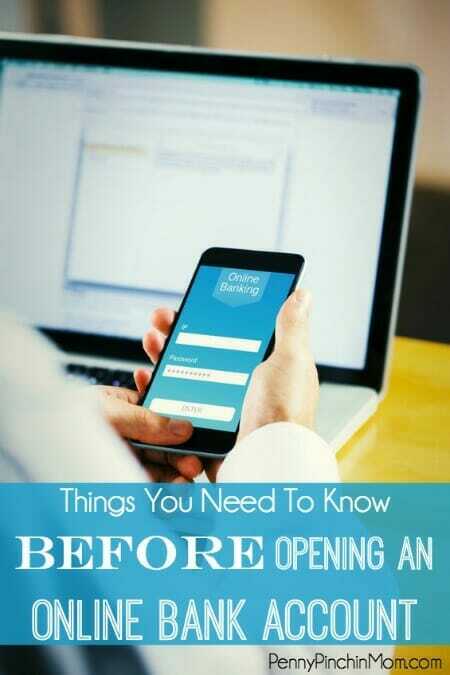 Opening a bank account online is a quick and convenient way to gain access to all the benefits of banking. But before you get started, there are some important considerations. From choosing the right bank, to finding an account that suits your needs, here’s a quick overview of how to open a bank account online the right way: Find the right bank. Choose a strong and stable financial institution so you know that your bank deposits are safely covered by insurance up to the maximum allowed by law. Your bank deposits should be insured by the Federal Deposit Insurance Corporation (FDIC), or if it’s a credit union, the National Credit Union Administration (NCUA). Be sure to do a little research, compare banks, and find a place you can trust with your hard-earned money. While online banking and mobile apps help make it easier to manage your accounts, technology isn’t a substitute for branch banking. Instead, it should complement it. Knowing that there’s a banking location nearby—where you can walk in and talk to someone if needed—offers both comfort and convenience. Be sure to use the bank’s branch/ATM locator to see if there are locations near your home and/or office. How important is good customer service? A TD Bank survey found that 60% of consumers who are happy with their bank say they have little or no financial stress, and more than half are optimistic about their financial future. Moreover, consumers who define themselves as happy with their bank spend 72 minutes less (7.3 hours vs. 8.5 hours) each week worrying about their financial situation compared to those who say they are not happy with their bank. So, before you open a bank account online, make sure your bank of choice offers great service, live representatives available 24/7, knowledgeable advice, and plenty of extras like extended store hours, free coin counting and award-winning products. Now that you’ve decided on a bank, it’s time to choose the type of account you want. Will it be a checking account? Savings account/money market? CD? Do some homework on each type of account and decide which one best fits your financial needs. Does the bank offer tiered interest rates that increase with account balance? Do I get free or discounted checks? Is there an extra fee for things like money orders, official bank checks, stop payments, incoming wire transfers and check images on paper statements? Is there an annual fee? Can it increase? This is a guest post from TD Bank where we work hard to create the best experience for our customers. That’s what it means to bank human. And what makes us Americas Most Convenient Bank.